BRYAN EATON/Staff photo. 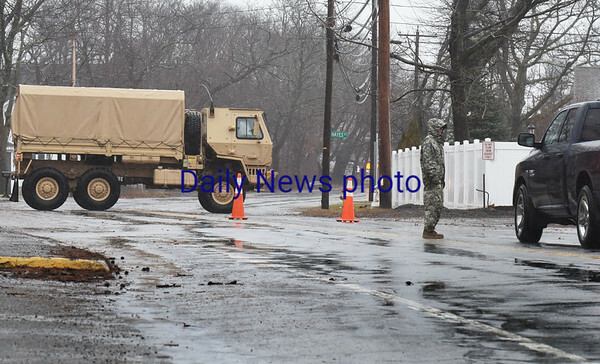 The Army National Guard helped out in Salisbury, here blocking traffic to the beach as the area near the entrance to the Salisbury Beach State Reservation wouldn't drain around 3:00 on Friday. One had to go to the beach via Route 286 in Seabrook at the time.